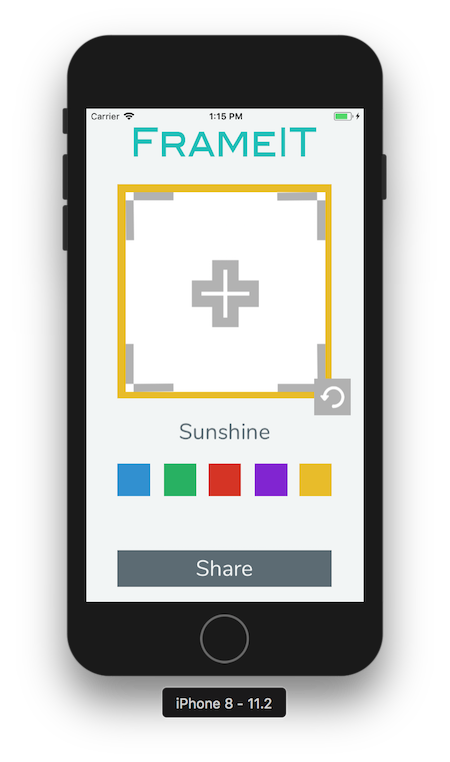 So, we figured out that absolutely everything on our app interface is represented by a view, which in essence, is a plain rectangle! So, how come we can see such a variety of beautiful shapes on the app screens we use every day? 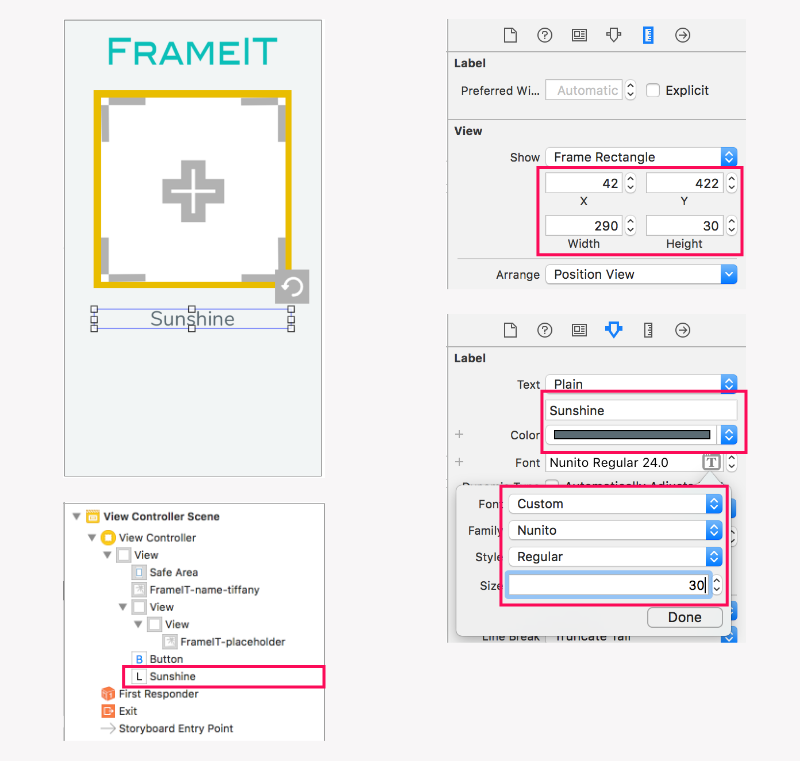 Those are particular types of views, which are subclasses of UIView and compositions of those subclasses. 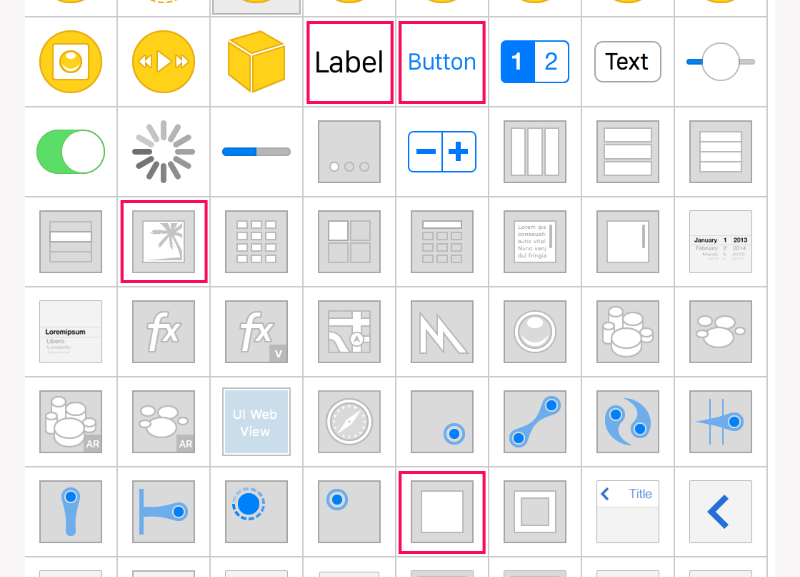 As you noticed, the UIButton is not a direct subclass of UIView. Instead, it inherits UIControl class and UIControl, in its turn, inherits UIView. Remember the idea of multilevel inheritance? Well, this is a good example of it. 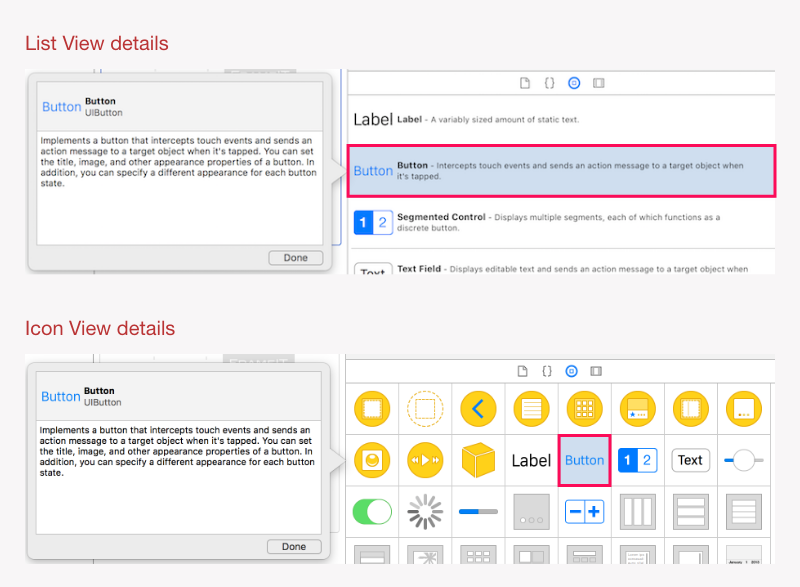 In iOS, generally interactive UI elements are called Controls, it's represented by UIControl class. 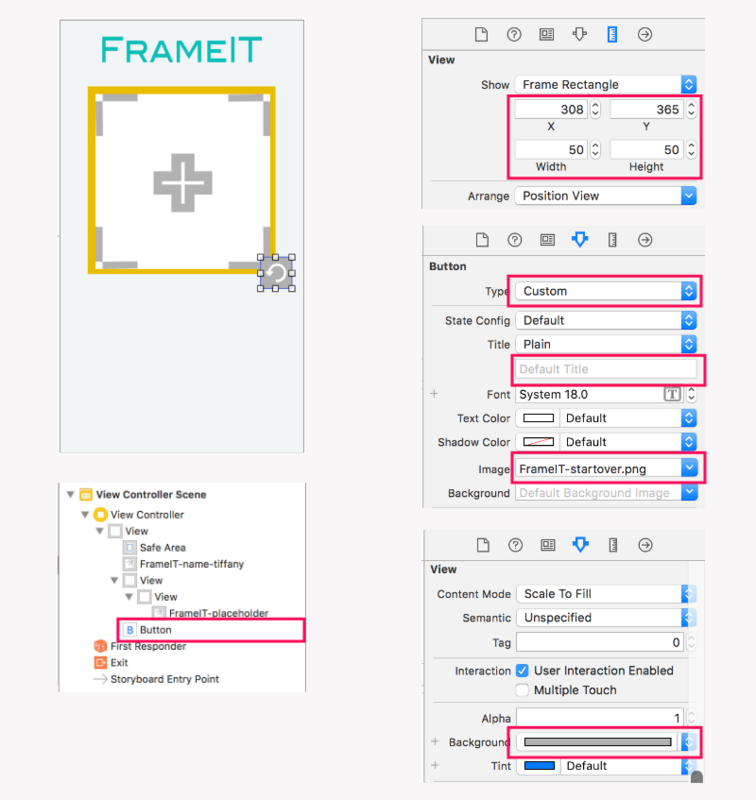 UIControl is a subclass of UIView. Then other interactive elements inherit UIControl. 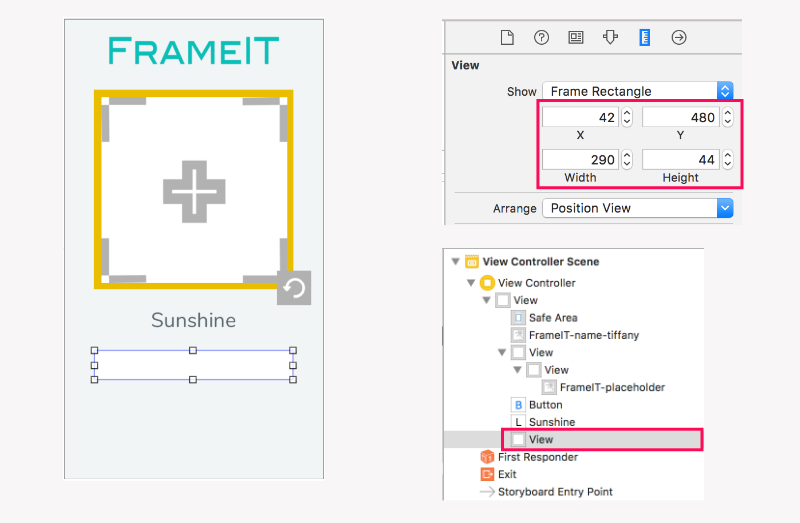 UIView is a non-interactive element by default. We can implement the code to add interaction support, which would require some coding effort. Buttons, on the other hand, imply interactions by definition (in real world they can be pressed, toggled, etc.). In this case it's useful to create a helper layer that would implement and support these kind of expected interactions. 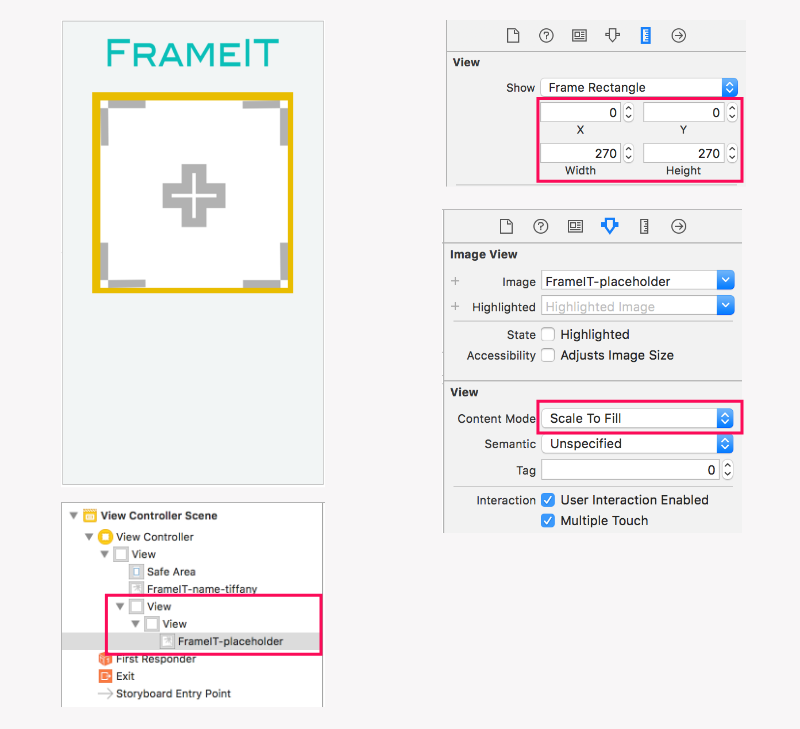 Swift UIKit framework provides us with variety of beautifully designed components ready for us use, such as: Buttons, Labels, Switches, Sliders, various layout and navigation elements. This library presents not only visual elements, but also gestures, navigational, and layout elements. It's worth mentioning, that the default appearance of UI elements presented in UIKit is well thought out. And, if positioned well, they result in the pleasant appearance of an app without much creative effort. 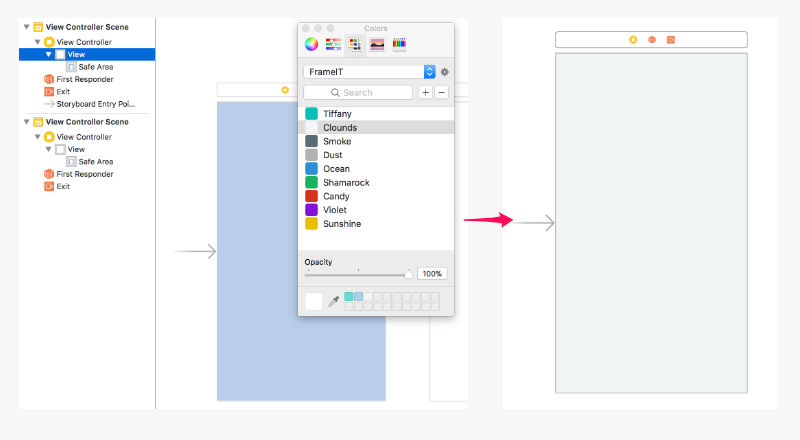 This is handy for quick prototyping or if you have no desire to challenge your visual design skills for the moment. ;) Keep it simple and it will look good! 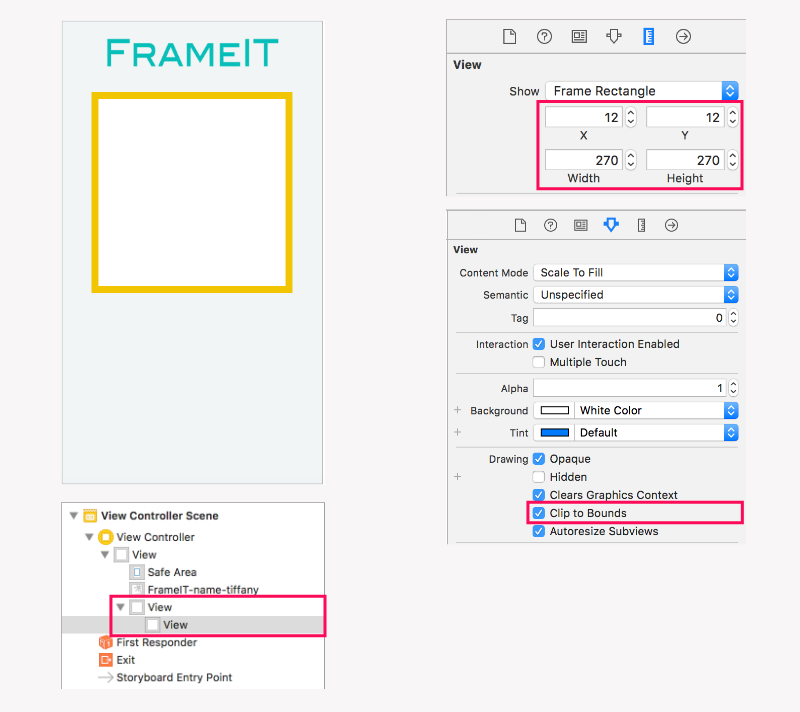 Let's look at our designs for FrameIT. 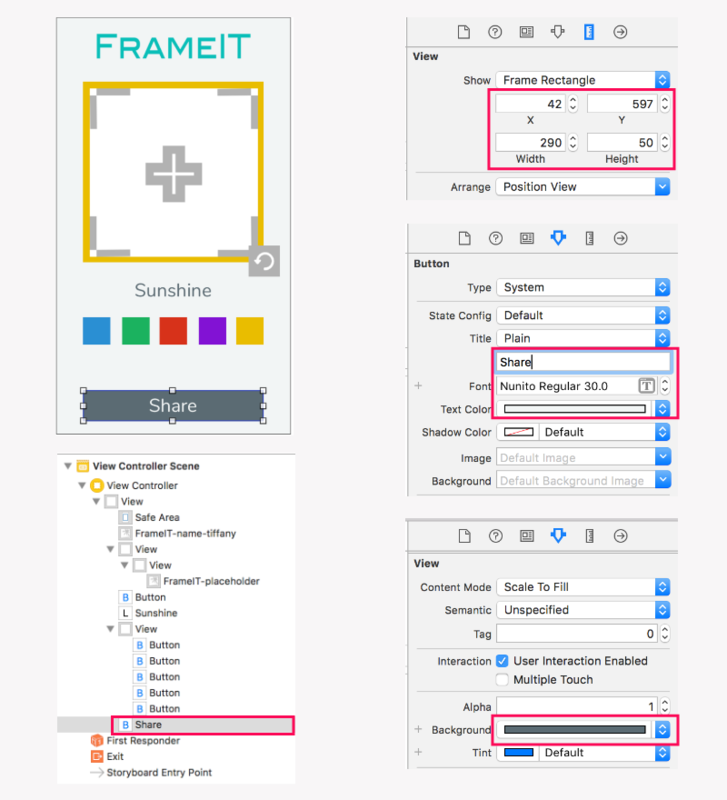 We have 2 screens to implement: Main screen and Image picker. Now let's build each of the screens. 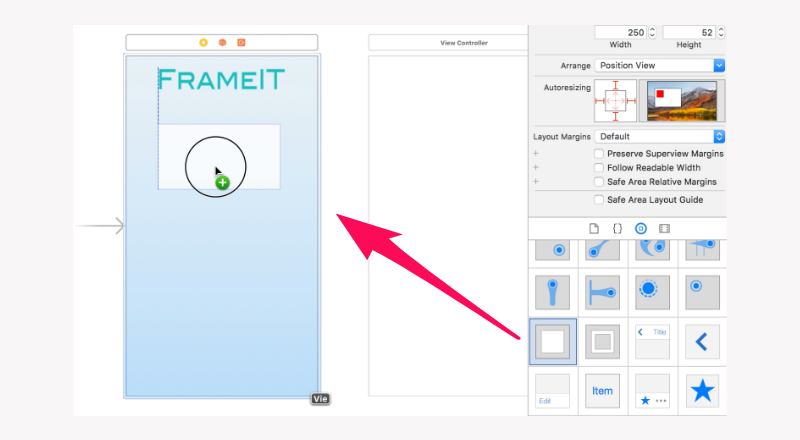 FrameIT elements: UILabel, UIButton, UIImageView, UIview. Let's go ahead and add all the elements one by one. 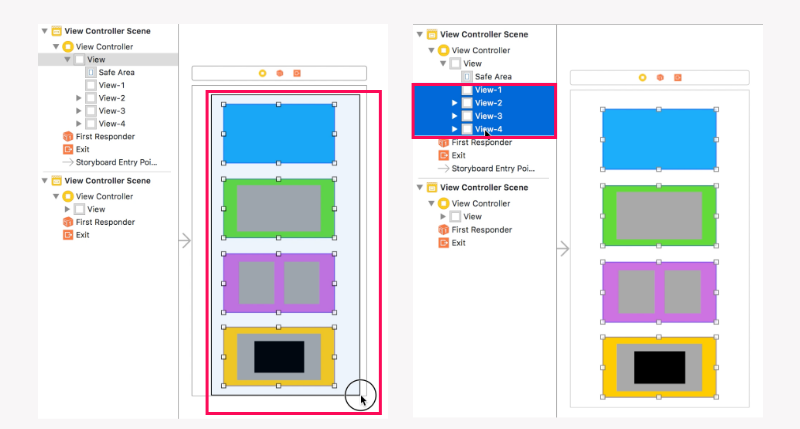 Select the first view controller. 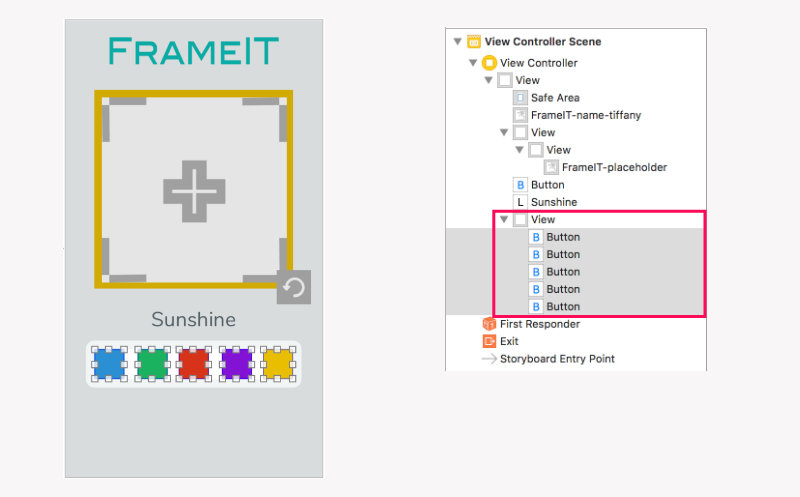 Any View Controller can be assigned as Initial View Controller by checking off attribute 'Is Initial View Controller'. 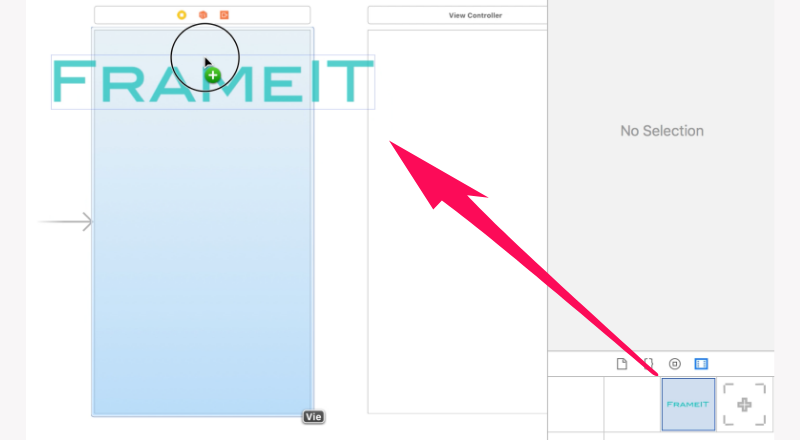 The previously selected View Controller automatically resigns that role. Size the image to 250x52pt. What's that guideline at the top? As you can see there's an additional guideline at the top, it appeared exactly at 20pt from the top of the screen, and it is meant to indicate the potential status bar appearance. This makes it easier to position the content under the space that can be occupied by the status bar information. The status bar can be hidden in case the app needs the user's full attention. However it should not be hidden just because the content happens to be placed at the top. This is a tricky one. Remember that we have to move, rotate and scale the image. Which means it will change its appearance on the screen. And we have to make sure it visually still stays within the Color Frame. 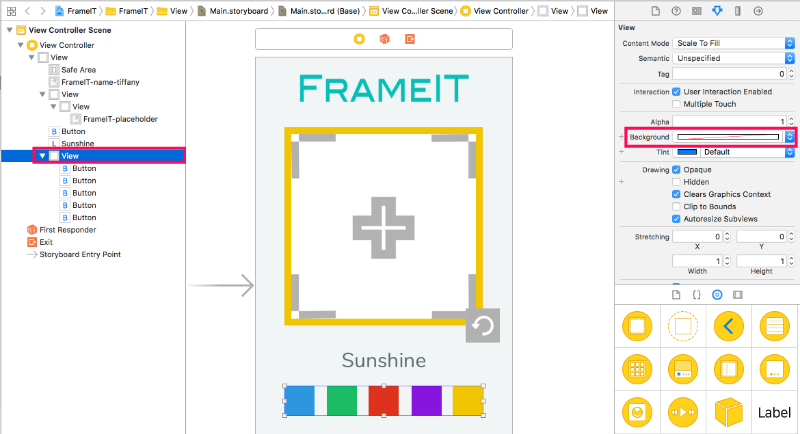 Now, drag a UIView from Object Library as a subview to the colored frame view. Position it in the middle of its super view (use vertical and horizontal guidelines to reference the center). Resize the image to 270x270pt. And, on Attributes Inspector check off the property 'Clip to Bounds'. By the way, 44x44pt is a recommended minimum for interactive areas. Smaller areas that allow interactions are considered less accessible and are not encouraged by Apple. And finally after all is done, let's test it in simulator - click Run! 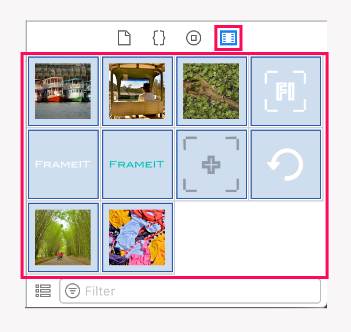 According to our design, image picker will be represented by a special Controller called "Alert Controller" and does not need to be implemented in the storyboard. 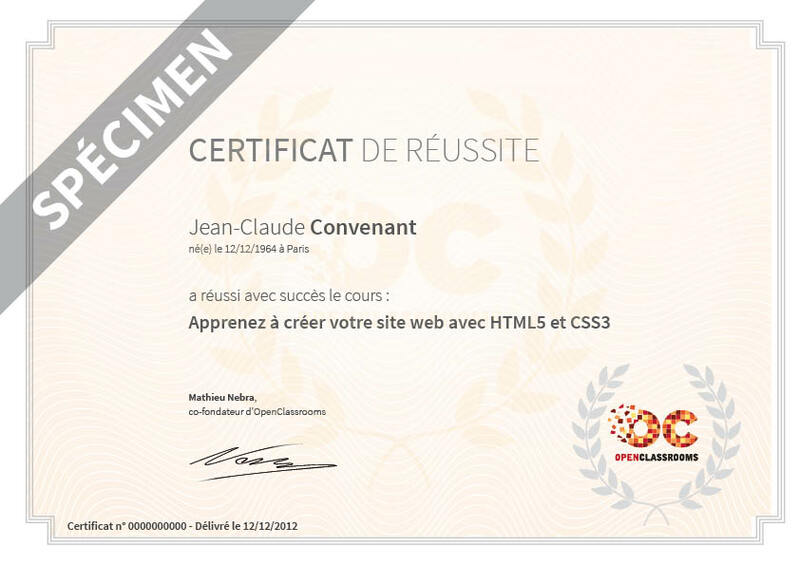 We'll get to its implementation later in the course. Wait a minute, where do all those measurements come from? As you may notice, we don't have any measurements specified in our requirements. So, what do you do in such a case? You eyeball it and measure :ninja:! Most of the time, the mockups will come in 1x or 2x scale. You can determine that by looking at the picture dimensions. 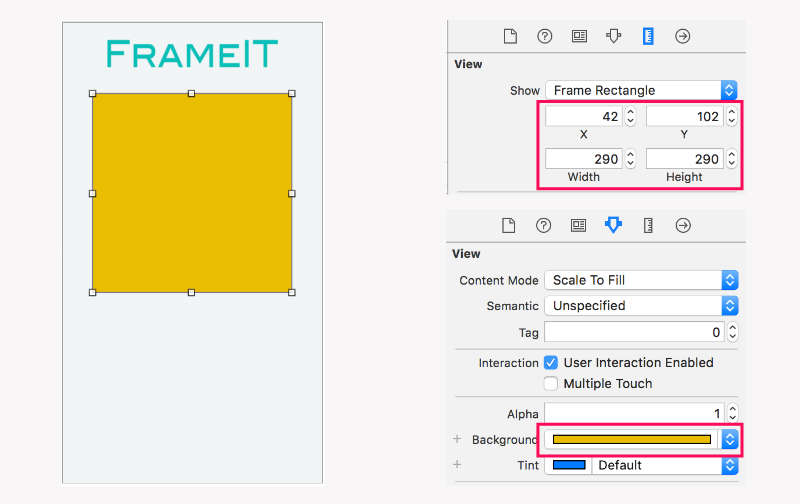 From there, you can use your favorite visual tool to measure the sizes and spacing. I recommend rounding; if some spacing measures 11pt, make it 10pt. However, there are common measurements in software that are exceptions and should be left alone, like 1, 2, 4, 8, 16, 24, 32, 36, 38, 40, 42, 44. Keep them as is - don't round! What should I do with a number like 9? Pick your favorite - 8 or 10, eyeball - see what fits better. How can you determine what's common for software products and what can be rounded? Experience. The more designs (and designers) you work with AND the more visual software components you design the more educated of a guess you'll be able to make! What if requirements are not clear? Does the developer need to clarify them? Clarifying requirements is always helpful and will definitely make it certain whether a font needs to be 31 or 32 (or if 30 is as good!). I recommend not sweating over it. You will have more points to bring up with designers than particular little dimension uncertainties. 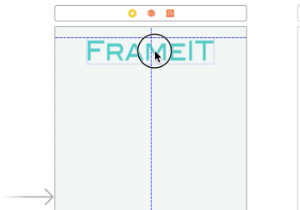 "I noticed that there are many font sizes appearing throughout designs. They are very similar but not exactly the same. Is the exact size critical to the appearance or can we generalize them and use just a few font sizes instead?" By the way, identifying a certain number of consistent fonts, margins, and spacing values will benefit the code significantly. You will learn that as you progress. Now we are ready to move on! 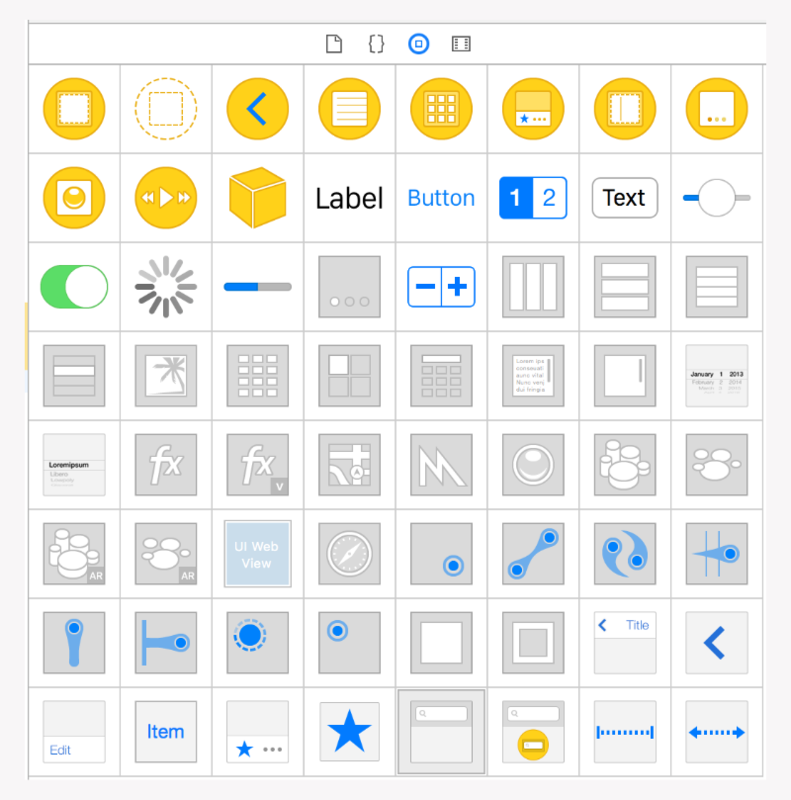 There are many components provided by the UIKit that you can easily use in your interface. 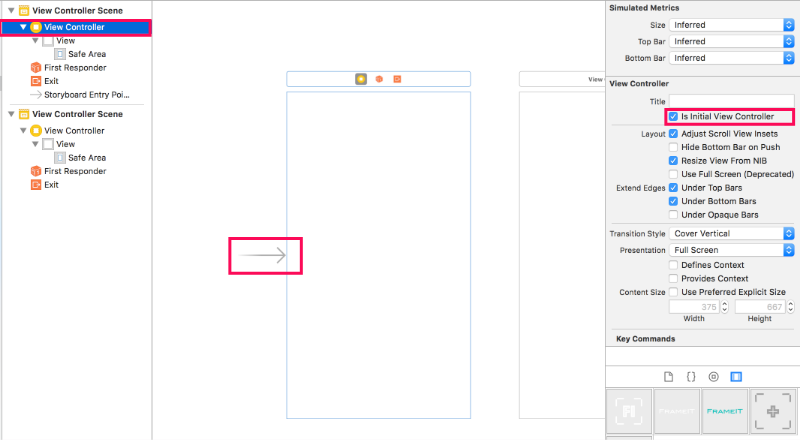 Parameters of an element can be modified using the Attributes Inspector. Each element has different properties that can be modified. 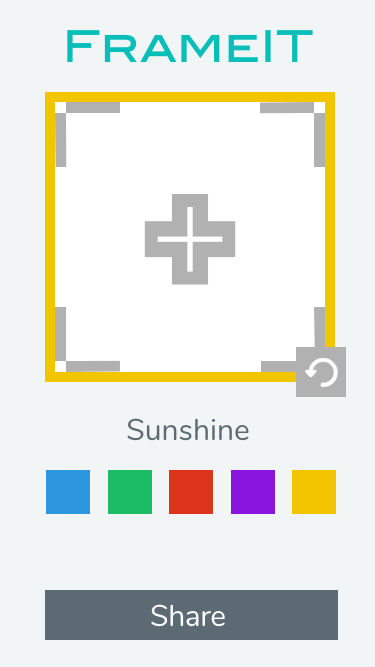 Adding the image view can be done by dragging an image from Media Library.